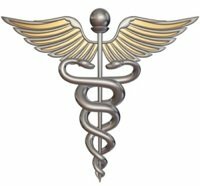 I am first and foremost a physician of Internal Medicine. My concern for my patients is always my primary focus. Of course my family is right up there as well. However, next on the list is model railroading. 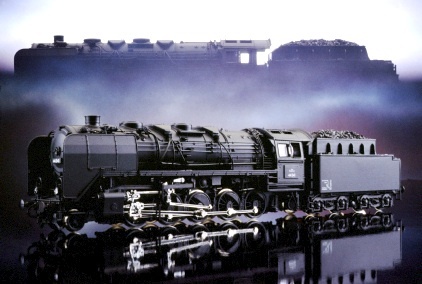 Like many other model railroad hobbyists, I was first introduced to model trains when I received an American Flyer for Christmas at the age of 5 or 6. I really loved that train, but alas, it either got sold off or lost in a series of moves over the years. 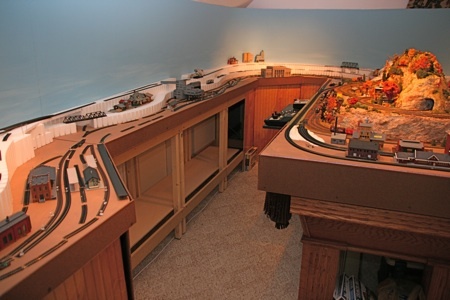 At age 9 or 10, I remember visiting the house of a friend whose father had an O scale model railroad empire (And I do mean empire!) in the basement. It was quite impressive with multiple trains going in and out of tunnels, over bridges, overlapping each other, meeting on parallel tracks and lots of scenery as well. I remember thinking that some day I wanted to do this. Well, the years went by as they do. Medical school, internship, residency, medical practice, getting married, etc., tended to push aside my inner instinct to build a railroad until many years later, when it was time for my son's sixth birthday. 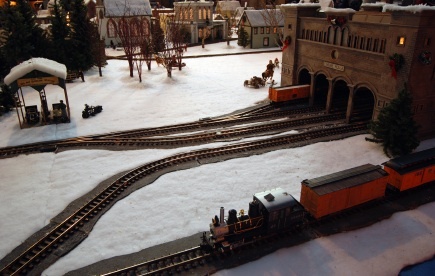 Of course, he had to have a train to go around the Christmas tree. He didn't ask for it, but I thought he had to have it. It was an HO set, I believe a Union Pacific freight train, complete with track, power pack, telephone poles, etc. I put it around the tree, which was a big hit. Then afterwards, we (I) decided to set it up on a small table so we could continue to play with it. As it turned out, I ended up having more interest in it than my son. Soon I was buying extra track and turnouts and more locomotives and cars, and before I knew it the whole attic was full of this rather rudimentary train layout. I started reading more and more about the hobby in my spare time and teaching myself gradually how to do all kinds of things - mountains, trees, signals, wiring, etc. I spent many hours in a very hot or very cold attic doing this and had quite an empire. There was no heating or air conditioning, so eventually I started to think about developing a space to build a better railroad. We (I) therefore decided to renovate the attic and finally created a room about 19'x18' that would serve as a train room. However, before it could really become a train haven, other family interests came to the forefront and it became a pool room instead. So, I was relegated to develop my new railroad on a 4x8' table in one of the upstairs rooms. This was also built in HO scale and featured many bridges, tunnels and over and under tracks, which I enjoyed for several years. Then I decided I wanted to try N scale so I could build a "bigger" empire in a smaller space. I used an old dining room table, about 3x6', which served as the basis for my new N scale layout. By this time I was getting much better at building mountains and rocks and other scenery. I also upgraded to DCC to operate the layout which was exciting, since I could now run three trains at once using different throttles controlling the speed and direction of each train separately. Ultimately, the use of the pool table declined as the years went on and I was finally able to get my room back that was supposed to be a train room in the first place. This was really exciting! So, I moved my 3x6' N-scale layout into the "new" train room and began expanding it gradually to include the entire room. It's a work in progress. You can see pictures of it on the third page of the web gallery accessed by the "Pokie Roads" link on the Gallery page. About 10 months ago (April, '08), my son was learning about how to build web sites and got me interested in doing one on how to build model railroads. I was resistant at first, didn't think I would have time, didn't want to spend the money, thought it would cost a fortune, and didn't think anybody would ever look at it anyway. But then he bought me a subcription for a website, which was a special offer at the time for $100. So I thought, well, okay, he's already spent the money. I may as well find out more about it. He was telling me I could earn some income with the site that would eventually help supplement my retirement income. This did interest me a little, because my retirement investments weren't doing very well in this economy, and despite what many people believe, primary care physicians don't make a lot of money these days. 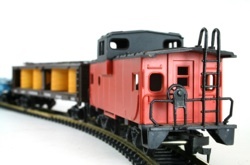 So, anyway, I started writing about model railroading. The subject matter, of course, was very interesting and I greatly enjoyed the process of building pages for the site. It was not difficult at all; the website-building tutorials at Solo Build It showed me how to do everything. In the meantime, I learned a huge amount of information about the Internet and search engines and all that stuff, which was interesting also. Thank you very much for visiting. 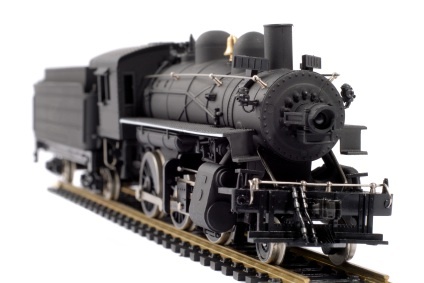 Let me know if there's anything I can add that would help you in improving or enhancing your own model railroad. That's what I'm here for. 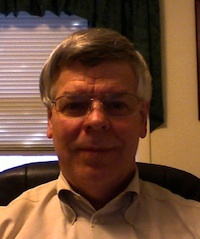 From "About the Author" to "Model Railroading Blog"
From "About the Author" to "HomePage"